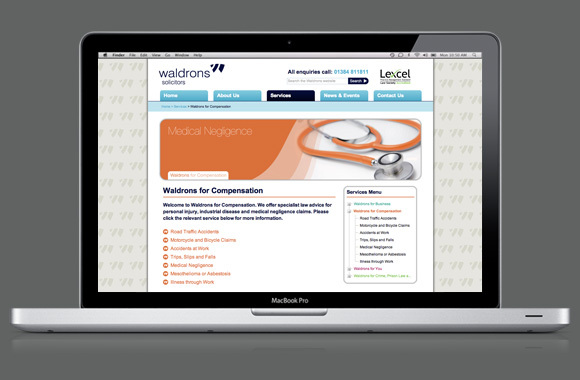 iDC are pleased to have launched Waldrons Solicitors brand new website. 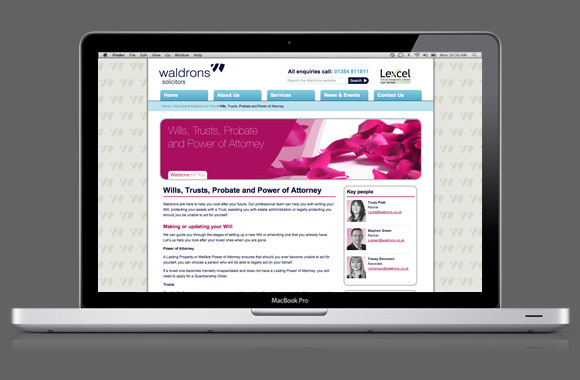 Founded in 1867, Waldrons Solicitors are a respected law firm that offers specialist legal services to individual and business clients across the West Midlands and Worcestershire. iDC was invited to take part in a competitive pitch in November 2010 after the partners felt that their old site was no longer working for them. Shortly after the pitch process, we received the fantastic news that iDC were appointed to take the web project to fruition. One of the main requirements of the new site was that it utilised a Content Management System (CMS), which would give Waldrons the freedom and flexibility to easily update online content in-house. With this in mind we built the website on the incredibly powerful and secure, ASP.Net CMS platform called Sitefinity. A globally proven platform that is used by a number of Fortune 500 companies like Coca-Cola, Mercedes-Benz and other renowned government, healthcare and non-profit organisations. Other key requirements for the site was to make it visually engaging, incredibly easy to navigate, (allowing users to find relevant information in two clicks or less), and make it SEO friendly in every way possible. 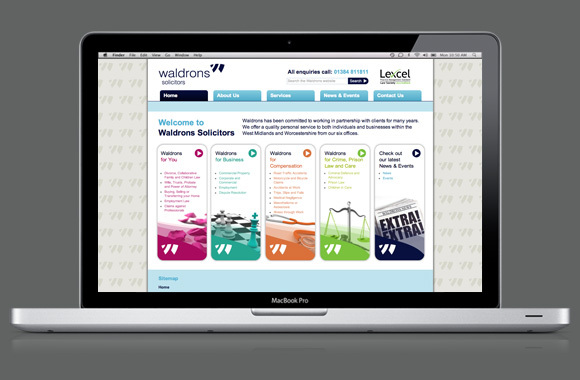 The site is performing incredibly well and both Waldrons Solicitors and iDC are very pleased with the results.